If that can’t be true is your immediate thought after reading this title, we admit it certainly sounds a bit far-fetched at first blush, considering our generally unhealthy and downright dangerous world. What about the major health conditions that strike Americans? Well, the lifetime odds for the top three are definitely higher than the opioid overdose risk (#4 on the list), but it’s not as large a discrepancy as you’d think: heart disease (1 in 6 lifetime risk of dying), cancer (1 in 7) and chronic lower respiratory disease (1 in 27). 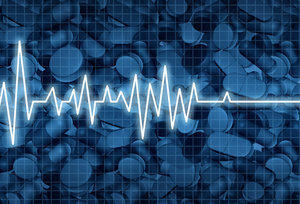 But considering that opioid overdose is the only risk to your health / life on the list that can be completely eliminated, simply by not taking opioids, it’s a wonder doctors continue to prescribe, and patients continue to take, oxycodone, codeine, morphine and other forms of this dangerous and often-addictive medication. As we’ve talked about numerous times in the recent past, opioid use, abuse and misuse has become an epidemic, and while the tide is turning away from opioids and other pain medications, and toward conservative, nondrug alternatives for pain (such as chiropractic care), it’s slow going at best. In fact, research suggests it can take up to a decade for doctors to catch up with policy / guidelines. Not soon enough in the case of opioids, which continue to kill more than 100 Americans each and every day. It also doesn’t help that opioids are big business – both for the pharmaceutical companies that make them and the doctors who prescribe them. A recent CNN / Harvard University analysis revealed that opioid manufacturers pay doctors large amounts to prescribe opioids, with higher prescription rates tied to higher payments. If your medical doctor tries to prescribe an opioid for your pain, always ask about nondrug alternatives to relieve your pain, and be sure to mention chiropractic. Public policy is rapidly embracing chiropractic and other conservative means as the first options for managing pain, but as we alluded to, policy and doctor prescribing habits don’t always mesh. Finally, keep in mind that if you visit a chiropractor for your pain first, you won’t be prescribed an opioid or other pain medication, and your risk of an overdose will be eliminated altogether. Sounds like the best option to us.